Diversity is one of the most powerful team-building tools on the planet. Leaders rarely equate diversity with the notion of transformational leadership because the concept has been so politicized and distorted over time. For many in the business community, the word “diversity” immediately brings to mind ideas of boring seminars, forced interaction, and mind-numbing workshops. In reality, diversity is one of the most critical components of successful team building. The power of diversity is found in the collaboration, chemistry, and continuity that comes from a group of people who respect, embrace, and work to leverage each other’s differences. “Difference” can be a difficult thing to appreciate, but teams that leverage their uniqueness are able to create a tapestry of dynamic interconnectedness that is difficult to replicate. For leaders, one of the most important aspects of embracing diversity is understanding the tangible benefits it provides. The power of diversity is unlocked when individuals embrace and harness their special uniqueness for the good of the group. Appreciating and valuing ‘difference’ has distinct and tangible benefits for a team that makes a concerted effort to cultivate diversity. More specifically, the power of diversity is found in the innovation, efficiency, and effectiveness driven by a leader’s commitment to celebrating uniqueness. Diverse teams are ultimately more innovative. Research on diversity within a business context concludes that diversity leads to more sustained innovation and profitability over the long-term. Innovation and creativity is cultivated in environments where a confluence of unique perspectives are brought together to achieve a common purpose. Creative energy is produced from the collision of diverse perspectives, and leaders that are able to foster a diverse organizational environment are able to construct deep and nuanced perspectives within their teams. Leaders who embrace humility will seek to add diversity within the team context because they understand that one person doesn’t have all the answers. Innovation starts with a healthy appreciation of knowing what you don’t know. This admission of humility requires leaders to embrace people who look at the world differently. Transformational leaders know that the long-term success of their team is dependent on their ability to continuously innovate and improve which is dependent on the collaboration of diverse perspectives. Efficiency is a critical component to high performance. 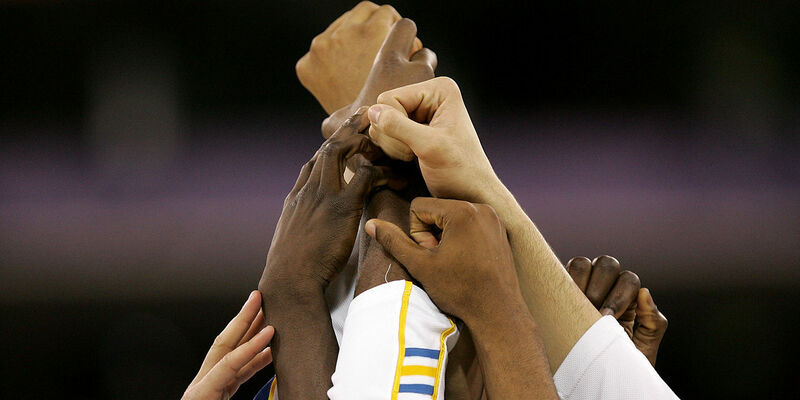 Teams that spend the least amount of energy to achieve the greatest results will gain an advantage over time. Efficiency describes a team’s ability to streamline their habits towards a common end. Think about two of the best basketball teams in the NBA right now, the Golden State Warriors and the Houston Rockets. Both teams are effective at scoring the basketball, but Golden State relies on passing, player movement, and teamwork to create their scoring chances. They collectively share the burden of putting the ball in the basket. In contrast, Houston averaged the least amount of passes per game in the entire league. They rely on individual talent to beat their man in order to be effective. While both teams can put points on the board, over the long-run Golden State’s efficiency gives them a better chance to be successful because every single player on the team is encouraged to play to their strengths. Diversity delegates responsibility among the group which allows teammates to share the burden of performance. At the highest level, individual differences converge to help team members leverage their strengths for the good of the group, leading to greater efficiency and effectiveness! In a battle of diversity vs homogeneity—assuming equal competence—diversity wins every time. Diversity fundamentally describes the ability to cultivate a new set of perspectives. A team’s ability to adapt, relate, and problem-solve in complex environments is a hallmark of diverse teams. Diverse individuals brings nuanced perspectives, experience, and insight that would otherwise be missing from a group of homogeneous individuals. Differences in background, ethnicity, experience, and education open up the possibility of “what could be” while sameness limits our viewpoints and shelters our perspective. Leaders that strive to create flexible, adaptable teams understand that adjusting to new situations requires a commitment to fostering diversity. Sports—and life—are all about our ability to respond to constantly changing circumstances. A bad call, a poorly timed injury, or an unlucky bounce can derail a team that is only trained to think in one particular way. Diversity allows your team to be effective in the most trying and difficult of circumstances, regardless of where you find yourself. As a leader how are you fostering diversity within your team? Even if you can’t change your team’s personnel, how could you help your team to think differently and leverage each person’s differences for the good of the group?